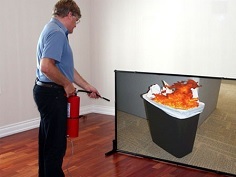 Portable fire extinguishers are intended to be used as a first line of defence to cope with a fire of a limited size. They’re needed even if the property is equipped with automatic sprinklers, standpipe and hose, or other fixed fire protection equipment. Portable fire extinguishers can be very effective against small fires – but only if equipment is properly placed, efficiently maintained, and used by trained individuals. Our team of technicians are factory-trained and will come to your site to perform inspections, maintenance and repair, so you can be confident that any work done to your extinguisher is performed in a proper and highly skilled manner. 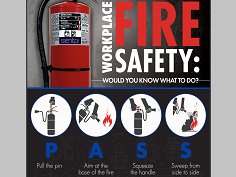 To guarantee the safety of your workers and facility as a whole, make sure that you’re aware of how often your hand portable extinguisher needs to be repaired, replaced and/or maintained. Extinguishers must be inspected monthly and annually by a competent person, and have have 6 year or 12 year service requirements depending on the make and model. In addition, there are also requirements to periodically perform hydrostatic testing on your extinguishers in Transport Canada Approved Testing Facilities, based on the type of extinguisher you have. 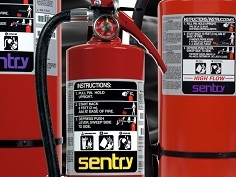 The maintenance and servicing of extinguishers are based on local fire codes and NFPA 10 Standards.